Telecom Minister Manoj Sinha on Tuesday met Finance Minister Arun Jaitley and is understood to have sought funds amounting to over Rs 1,000 crore for salary payments to cash-strapped MTNL till June this year. MTNL share price is down 2.51 per cent at Rs 13.60. The PSU is under intense pressure over high comeptition, lack of funds and revenues. Its networth has turned negative. 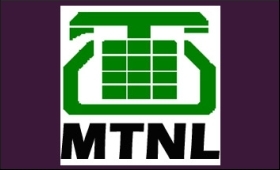 MTNL operates in Delhi and Mumbai. The funds sought from the Finance Ministry would cover MTNL's wage bill till June or completion of polls. MTNL, which operates only in Delhi and Mumbai and expects that these measures will help the company is doing away with debt to the tune of around Rs 19,000 crore. The revenue to wage ratio in case of MTNL has swelled to 90 per cent.